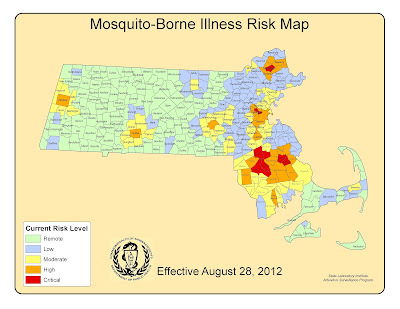 Late last week a positive test of Eastern Equine Encephalitis (EEE) in a horse was found in Georgetown, which prompted the town’s threat level to be raised to critical and nearby communities to be elevated to high (Boxford, Groveland, Newbury, Rowley, and West Newbury). 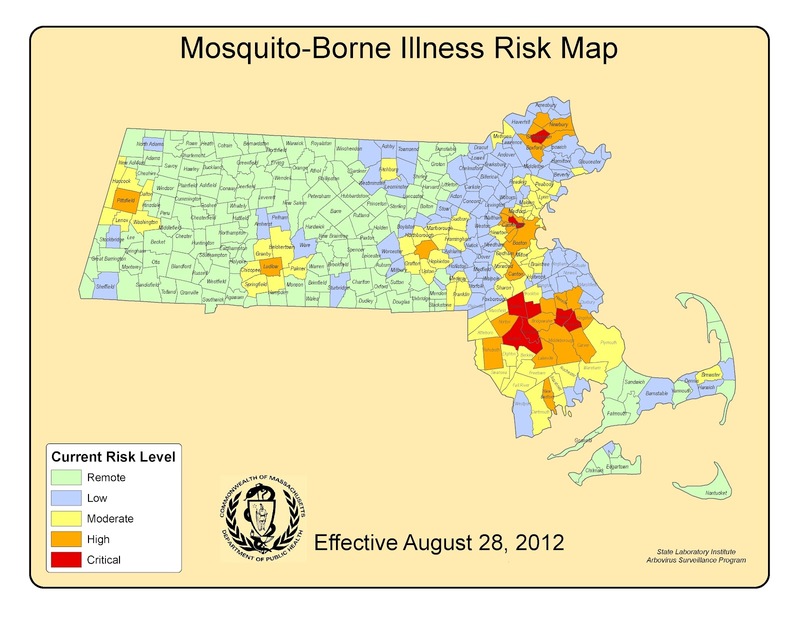 It has been recommended by the Department of Public Health that outdoor events should conclude by dusk for the remainder of the mosquito season. • Drain Standing Water. Mosquitoes lay their eggs in standing water. Limit the number of places around your home for mosquitoes to breed by either draining or discarding items that hold water. Check rain gutters and drains. Empty any unused flowerpots and wading pools, and change water in birdbaths frequently.